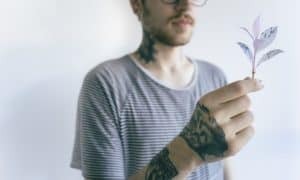 Tattoo Ideas For Excited New Dads – Are you a new dad that wants to celebrate your child’s birth with a gorgeous tattoo? There are many great ideas from which you can choose, so make sure to carefully examine each of these before deciding. These are just a small sample of the possible styles, so don’t be afraid to get imaginative! The simplest tattoo you can get to celebrate your new baby is their name tattooed on your body. For example, their name across your lower arm can showcase your love and excitement for their birth. You can also integrate images of them on the tattoo to make it more personal and memorable. Have you and your wife already chosen items that are meaningful and which represent aspects of your baby’s life? You could always get these tattooed on your body in a way that will make them impossible to forget. For example, a rendering of your baby’s favorite teddy bear on your upper arm will always remind of when they were young and so precious. All fathers have a basic idea of what they would like their child to do with their life. Success in a specific field is something you can celebrate with a large back tattoo. Create a basic timeline of your baby’s life, including images of them at various points of their life. While this tattoo is likely to be inaccurate later on in their life, it can showcase to your child what kind of success you expected from them. This can increase their self-esteem and drive them to succeed in ways that will make you proud. If you’re ready to get a tattoo to celebrate your new child, please contact us today to make an appointment. Tattoo Ideas For Excited New Dads by the Skin Factory Tattoo shop in Las Vegas & Henderson.